PVEN partners with local churches, businesses, and the US Marines Toys for Tots program to bring joy to children across the West End and adjoining Monroe county townships. 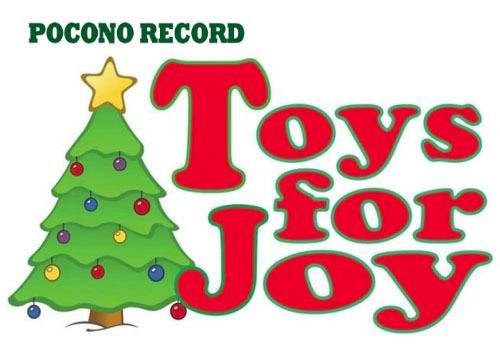 Families can sign up their kids from newborn to 17 for toys and special clothing requests. All participants must pre-register to participate in the program. Call (570) 992 3136 for a registration appointment. Times are limited, so don’t skip your appointment or we may not be able to re-schedule a new one for you! 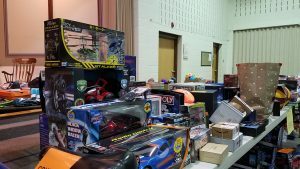 Every year PVEN brings holiday joy to local kids and families through the generous support of local churches and businesses, the Pocono Record Toys for Joy program, and of course, the US Marines Toys for Tots program. 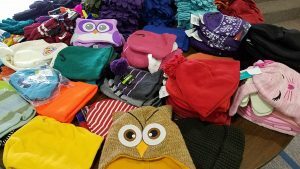 In 2017 PVEN delivered over 3000 toys to more than 300 kids, as well as several thousand additional stocking stuffers and clothing items. 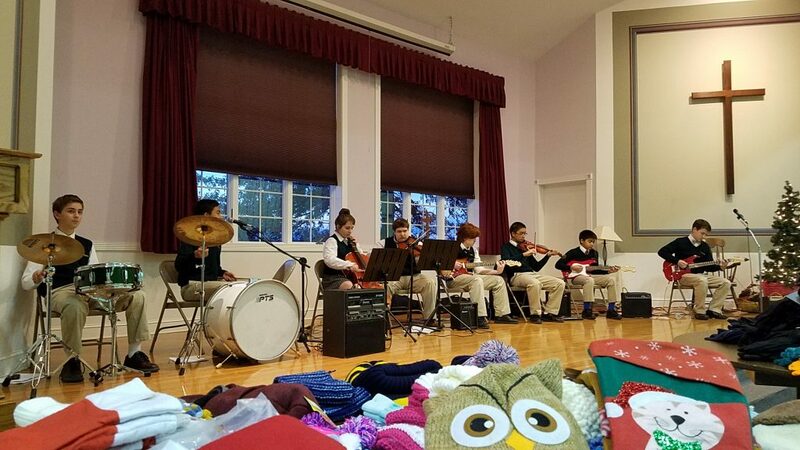 There are two deadlines: parents who sign up before the first deadline in late October can request specific gifts and clothing items to put on Angel Tree decorations distributed to local churches and businesses. 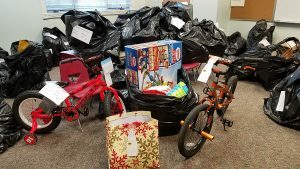 Their kids will also receive gifts from the Toys for Tots program. 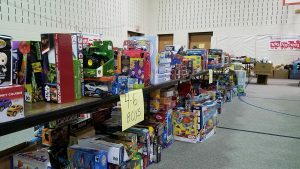 Those who miss the Angel Tree deadline can still sign up for the Toys for Tots gifts until early December. 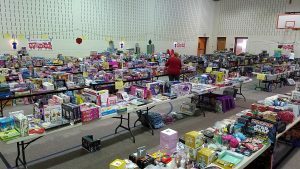 The cut-off is early so that PVEN can let the Marines’ program know how many toys to set aside for West End kids. So don’t wait until the last minute or you may be excluded. Gifts are typically distributed the week before Christmas – depending on that year’s calendar. 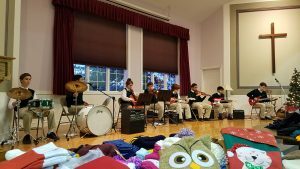 INCOME AND RESIDENCY REQUIREMENTS APPLY FOR ALL TOY PROGRAMS! Verification of address by lease, mortgage, or property taxes. Must have the year 2018 on the documents. rent receipts/bills will NOT be accepted. DO NOT MISS YOUR APPOINTMENT! The scheduling calendar fills up fast, so if you miss your appointment we may not be able to schedule a new one for you this year. 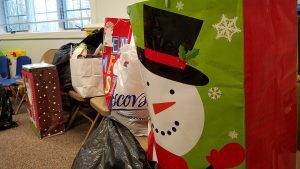 The Angel Tree program deadline has already passed. 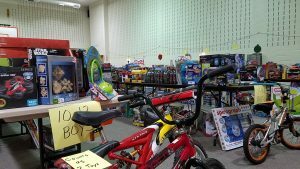 Appointments for the Toys for Tots program are available for: Nov 19, 20, 26, 30, and December 3rd.